Are you certain that your company will benefit from professional SEO services? It can be hard to choose the right SEO company if you’re not familiar with search engine optimization best practices. Ultimately, you should notice an increase in your number of online inquiries and sales. But, getting to that point could take 6 to 9 months, depending on competition, the experience and understanding of your SEO firm, and several other factors. 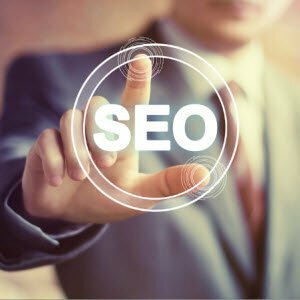 Hiring SEO help is a smart decision for many small businesses. Entrepreneurs are busy with a million other tasks each day. Why take on SEO yourself if you don’t have the time or training to do it right? Has your page moved up in the search engine results page (SERP)? This isn’t to say your page has to be at the top of the SERPs. In fact, any SEO service that promises first page results for you should not be trusted. Consistent improvement in your page’s ranking is a strong indication you’re moving in the right direction. Increased traffic is another good indicator your SEO service is doing its job. It means your search engine optimization plan is directing more people to your website via search engines. This is often achieved by posting keyword-rich content on your site. Your SEO service can recommend other methods to increase traffic to your website. In the end, you want your professional SEO consulting services to help you to make more money. Bringing more paying customers to your website is the goal. An attractive, user-friendly website that’s easy to navigate will encourage more people to inquire about your services. If your sales are not growing quite like you want, ask your SEO company to work on your page’s appearance and navigation. Does the service ask you questions? Your professional SEO team need access to your website and other accounts to maximize your website’s performance. Did they ask you for any login information? Have they asked you pointed questions about your company? Did they seek data about the products and services you sell? A “no” to any of these questions should alert you. Do you receive regular reports? Professional SEO services should include weekly or monthly reports. The company should use these reports to demonstrate your website’s growth. You shouldn’t have to ask numerous times to see these vital statistics. It’s a major red flag if your SEO company doesn’t communicate well with you. How often do you communicate with your SEO company? You should receive calls or emails from your SEO expert on a regular basis. If you don’t hear from them for weeks at a time, they probably are not putting in the work you expect. Unsatisfied with your website’s performance? Underwhelmed by your current professional SEO consulting services? PersistSEO can help. We start each new client with a complimentary SEO analysis. This tells us at what level your website is currently performing. Then we can take that data and formulate a plan to make your website reach your sales goals. Worried about your website’s performance? Call 770.580.3736 to reach the professional SEO team at PersistSEO.